Development of Fallout the Story resumed. So yes we are back from the dead. Fallout the Story is a work in progress at the moment. 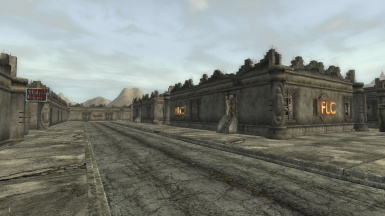 It is designed as a mod for the NV base game only (no DLCs needed). It is one of the main design goals to keep the look and feel of this all time classic intact. Which means it is a lot of work and needs every support it can get. We made a complete new travel system. 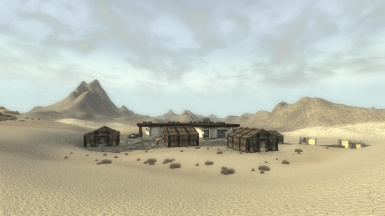 Which allows the player to discover the map of Fallout 1, also includes random encounters and the ability to flee (if your character is a coward ;) ). The game will be node based as the original. So you travel from one small worldspace to another. It is not a continues world. We have plans to add one larger worldspace which allows a bit more exploration (as easer egg so to say) but this one will be started at the end of development. All creatures (except I have forgotten one and "The Master" doesn't count as simple creature here ;) ) from Fallout 1 are complete in their original form. 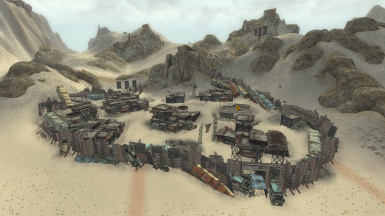 Sure we reuse from New Vegas but if changes are needed (Centaur for example) they are made. To keep the look & fell of the game at the same level as the original a lot of armors got a makeover. Which means Fallout The Story will look a bit more clean then Fallout 3 or NV but this change is intended. 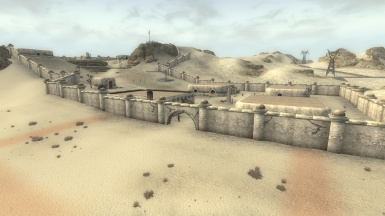 We where pretty luck that a lot of modding resources in this field are already made (special thanks to TrickyVein Shady Sands would look a lot different if it weren't for him). The follower system is different in Fallout 1 then in the newer versions. They aren't mostly the nice guys which can only be used as pack mules. We try to reflect this with several additions to the standard system. But we also added the newer features like the companion wheel. 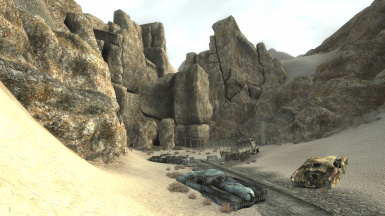 Fallout the story uses the NV reputation system. Which is a bit more complex then the original and maybe a bit more unforgiving but we think it's worth it.